Unleash the collaborative potential of your organization! A collaborative solution that fits your challenges and objectives. 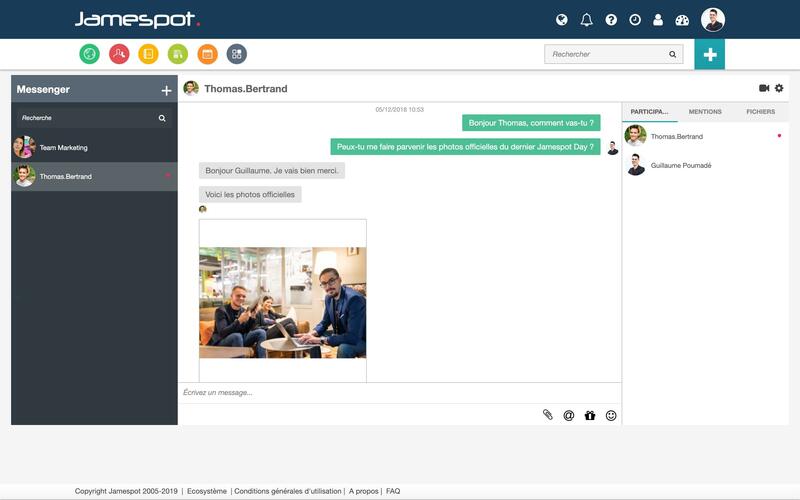 Are you looking for a collaborative platform for your company, you have specific collaboration needs for your team, or you want to boost your individual productivity every day? Look no further, we have the solution! 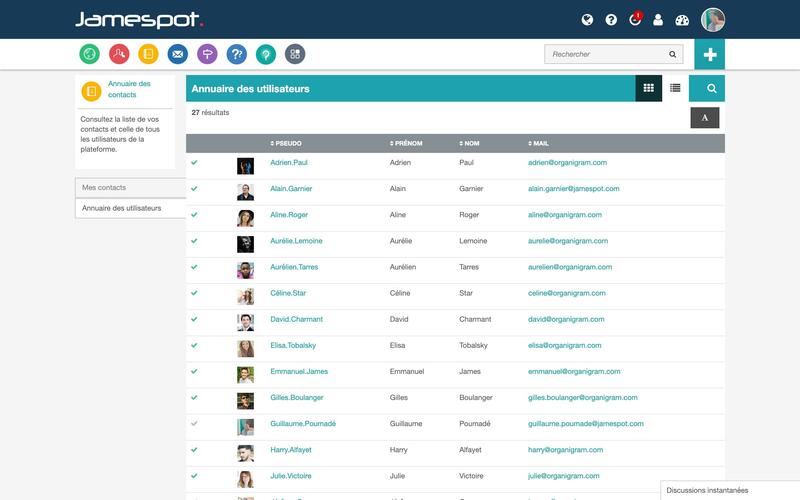 Jamespot is a 100% SaaS collaborative solution, 100% secure and 100% customizable that fits your business challenges. 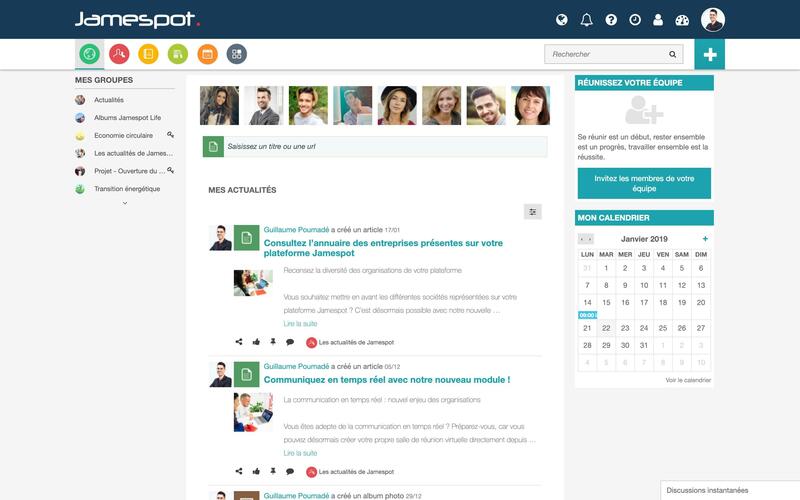 You want to set up a digital workplace, an intranet or an extranet? We have the solutions you need. You want to develop your projects using agile methods, stimulate innovation, share the fruit of your intelligence? Again, we have the applications you need. 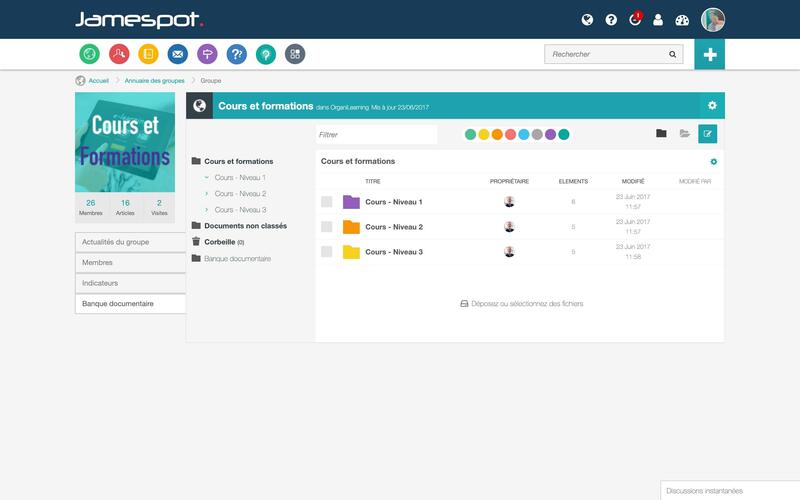 Thanks to our appstore with more than 80 collaborative applications, Jamespot fits your daily needs. Each business enhances its performance through the collaborative, deploying operational applications, focused on processes. 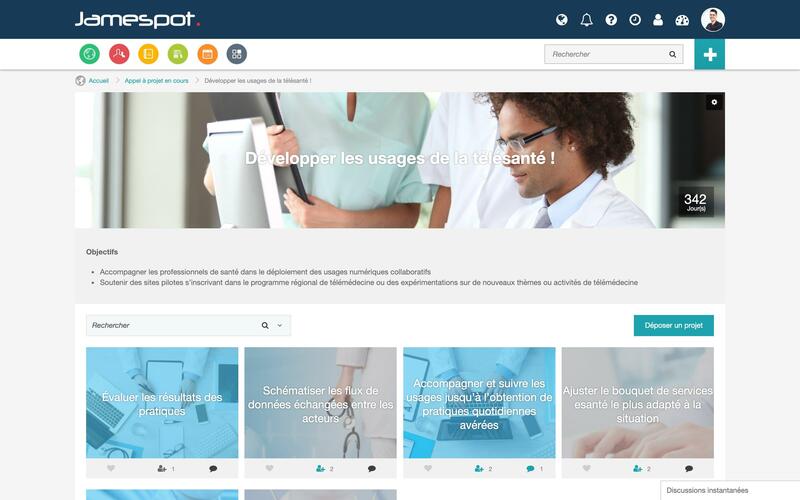 Launched in 2005, the Jamespot solution has evolved over the years to fit new business challenges. Today, we can launch your project in just a few days. To do so, we discuss on your needs and are able to identify the essential applications for the success of your project. 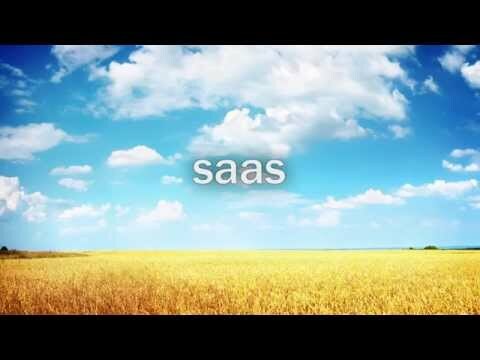 Thanks to SaaS, free yourself from the technique! 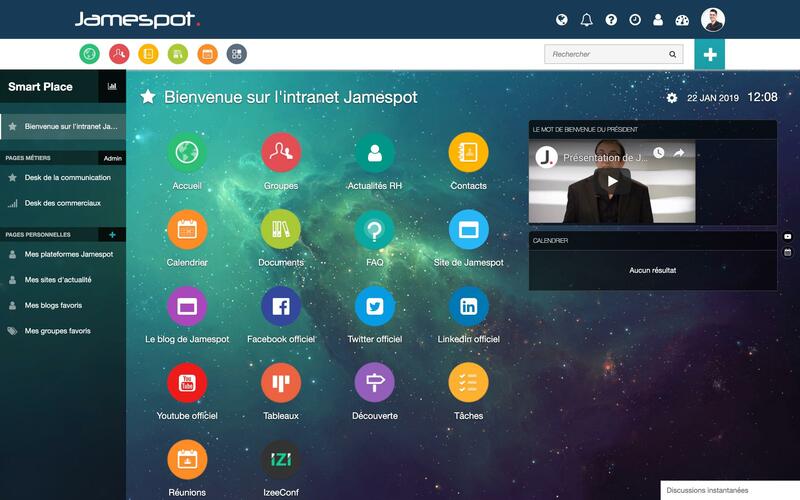 No installation required, and in addition you will always have the latest version of Jamespot! 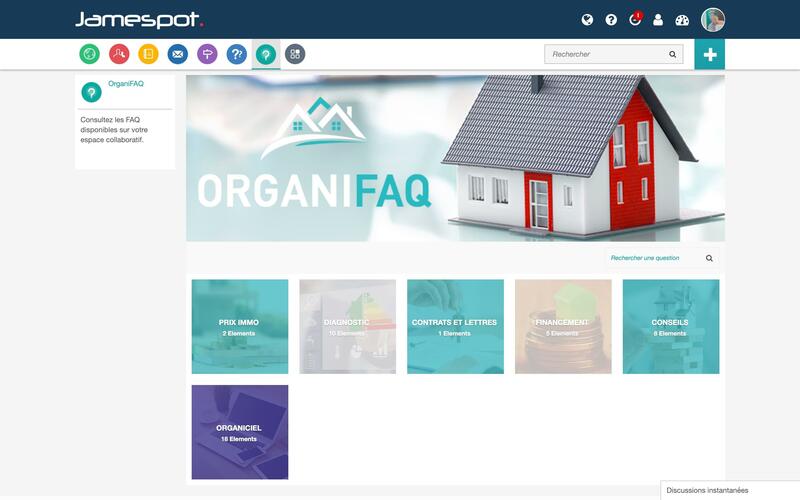 What are Jamespot’s direct benefits? Internal communication: to broadcast and relay information at all levels of the company. Digital workplace: to unify digital technologies and create a unique workspace. 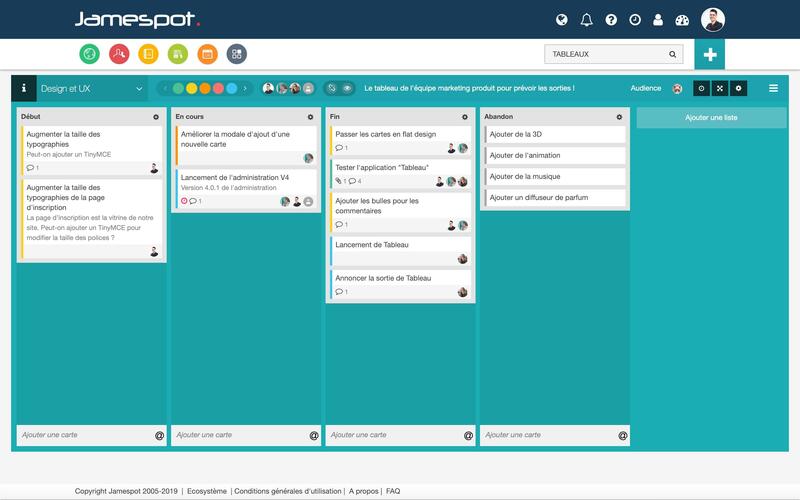 Agile project: to plan projects, assign tasks and track progress at a glance. Supportive community: to identify and challenge the right people to deal with a problem. Ideation: to collect a broad range of ideas and enhance collective intelligence. Collaborative process: to add a collaboration layer to a business process. Similarly, our solution is 100% French, with a team based in France, 100% available when you are, by phone or technical support. 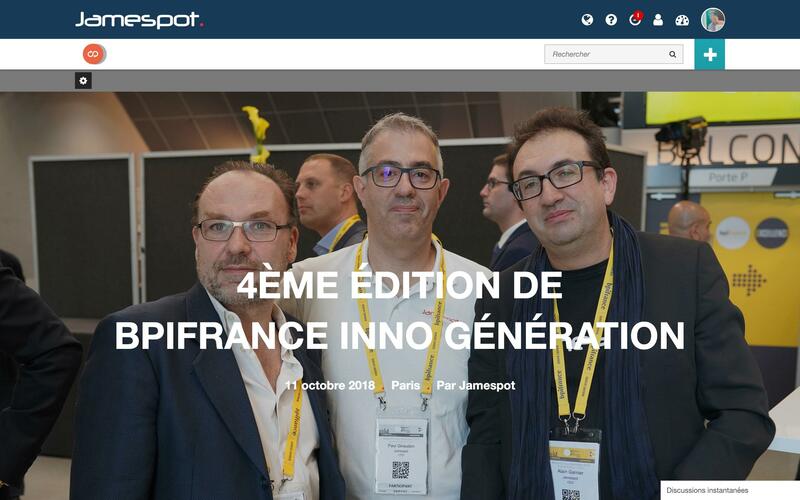 Today, more than 200 customers have chosen Jamespot (Bpifrance, Renault, Apec, Bercy, Ucanss, ...), why not you?